Turmeric is a great herb and an effective anti-inflammatory, but it’s not the be-all end-all it’s sometimes made out to be, usually by folks who want to sell it to you! This week Katja shares some other anti-inflammatory herbs you may not have considered. Meanwhile, Ryn’s been thinking about dreaming – or dreaming about thinking? – with the help of mugwort, a city-dwelling weedy friend who is very talented when it comes to deepening the dream experience. Herbstalk – Boston’s homegrown herbal conference, June 2nd & 3rd! 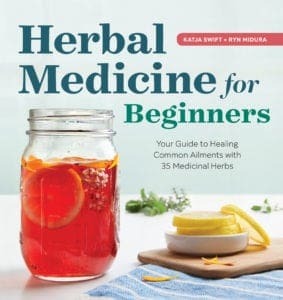 Herbs discussed include turmeric, ginger, rosemary, ginkgo, peppermint, tulsi, ashwagandha, rose hips, hibiscus, elder, calendula, self-heal, red clover, and mugwort.